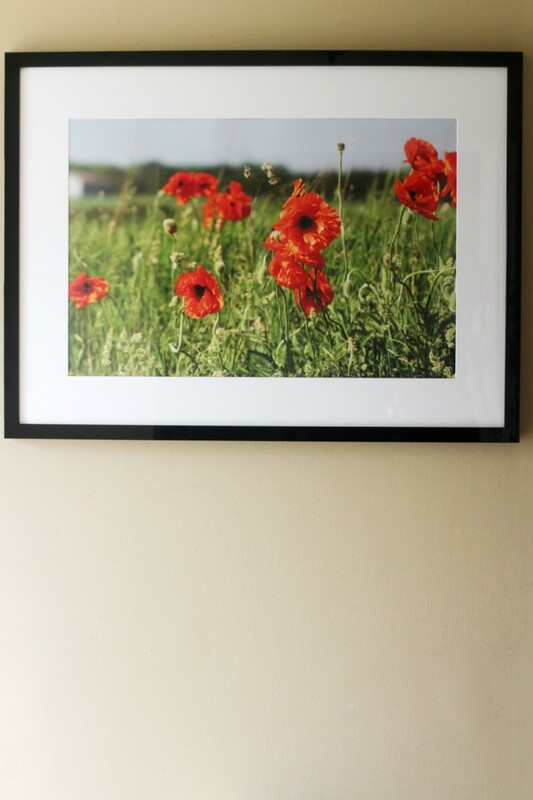 A Field of Poppies #12PrintsProject - Frugal Mom Eh! Last month I shared some prints I had ordered from Posterjack from my trip to Prince Edward County in Ontario. Since I was visiting the weekend of the end of May and the beginning of June I decided to use another photo I took that weekend. This time I chose a photo I took outside a church yard with a small field of poppies. 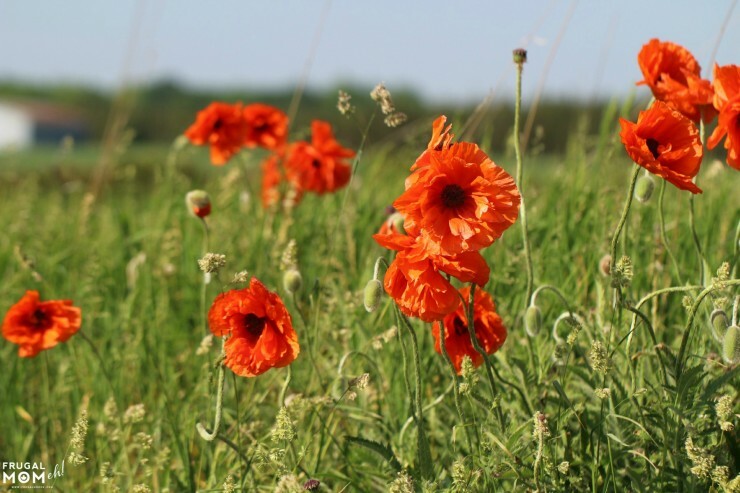 There is just something about poppies that are so beautiful. Their colour and their fragile looking petals blowing in the wind is almost a mysterious type of beauty that only nature could provide. This time I went with a black lacquer frame. It’s glossy, modern and simple but it stands out in a really stunning manner which isn’t too surprising as they are designed and produced in Italy but offered by Posterjack at really affordable prices. The look of the lacquer frame is just so polished and smooth which makes it so easy to clean with just the wipe of a clean, soft cloth. 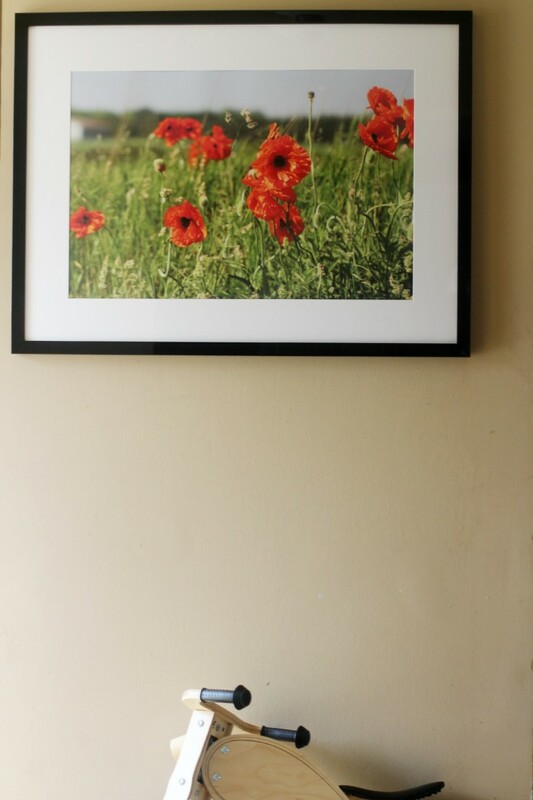 They are also available to order in white and are available in 18 different sizes, plus they come ready to hang with picture wire attached. I’ve hung this piece up in the hallway across from the entrance to kitchen so that I can take in the view from my seat at our dinner table. This way I can enjoy the view all year round. Your pictures always look amazing! Love the field of poppies! I love this photo! You have a real knack of photography chick.